HIALEAH, Fla. - Two horses were reported stolen Friday morning from a ranch in Hialeah. The South Florida Society for the Prevention of Cruelty to Animals said in a news release that the horses were discovered missing at 6:30 a.m. from the ranch at 16480 NW 117th Ave.
One of the horses is a chestnut Quarter Horse mare and the other is a bay Paso Fino gelding. Caretaker Yamil Gonzalez told the South Florida SPCA that that a portion of the property's fencing was cut, indicating foul play. "I don't understand why these two were taken. There were five other horses in the barn. Someone just walked in and chose those two and took them out of their stalls. There were two others outside they walked past," Gonzalez said. One horse owner told Local 10 News that he is worried for his animal. "My main concern is that I really don't want to see the horse end up as meat on someone's table," George Martinez said. "These horses are not bred for eating. These horses are highly maintained. They take shots for west nile, so human consumption is not proper for these horses." The South Florida SPCA is working with Gonzalez and the Miami-Dade Agricultural Patrol to help find the horses. "This is a horrible situation for the owners and those who care for these horses. We strongly urge the public to call with any information they have," South Florida SPCA horse rescue president Kathleen Monahan said. 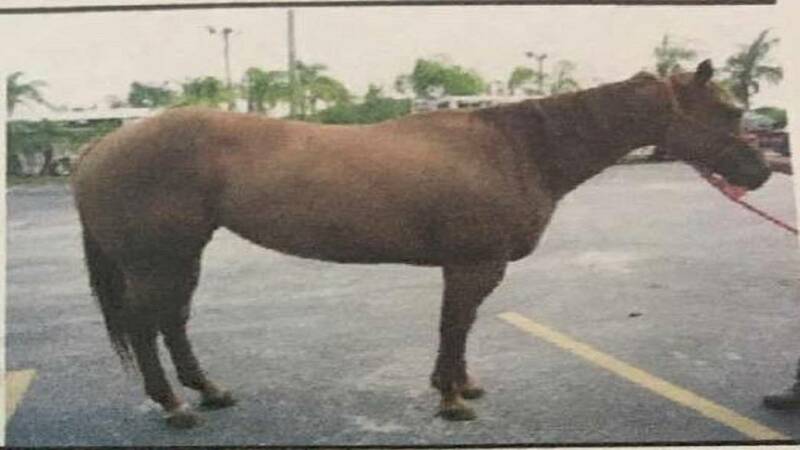 Another horse was reported missing May 5 from southwest Miami-Dade. Anyone with information about the thefts is asked to call the Miami-Dade Police Agricultural Unit at 786-218-8344.